Hello friends! Today I am kicking off a new quilt along over on BERNINA's We All Sew blog. This quilt, Radiant Splendor Supersized, is a 60" x 60" version of one of my favorite quilt block tutorials, Radiant Splendor. 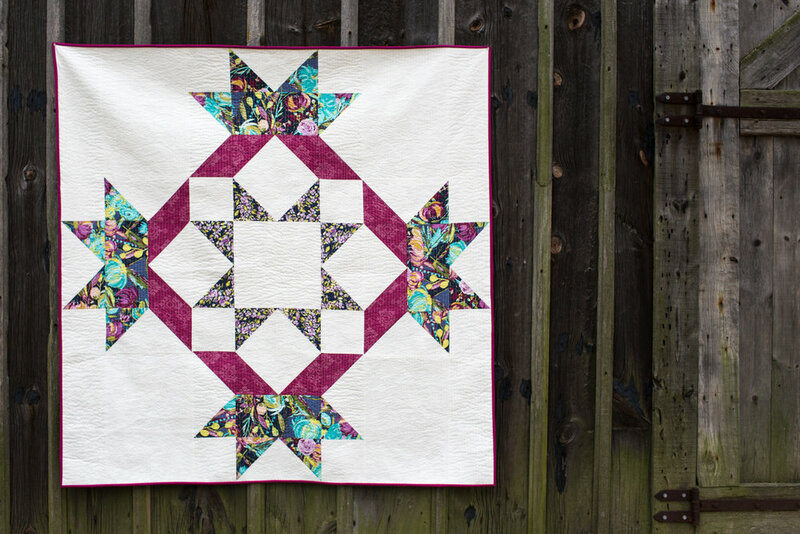 My quilt showcases fabric by the talented Bari J - I just love her large scale florals! This quilt is a breeze to put together, and would make an awesome gift for someone (or yourself) this upcoming holiday season. I hope you will head on over to We All Sew and quilt along!